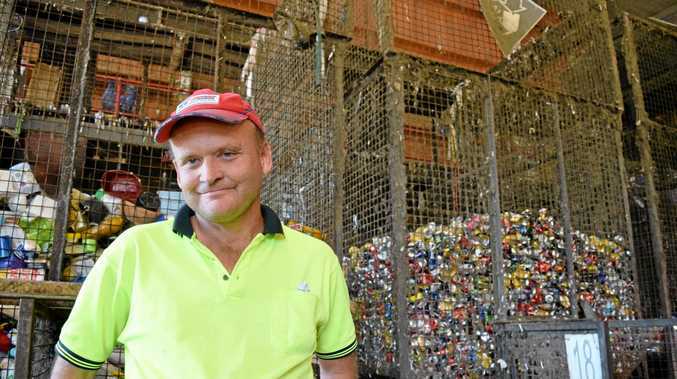 FIVE years ago Patrick Hannah began sorting cardboard, cans and containers at the Bundaberg Regional Recycling facility. Today, he has his truck licence and forklift ticket - and last night he was in Brisbane to collect a national award for his employer. Mr Hannah is one of 27 workers who sort everything that lands in your bin with a yellow lid, who head to work every day with "a sense of purpose", according to Impact Community Services chief Tanya O'Shea. 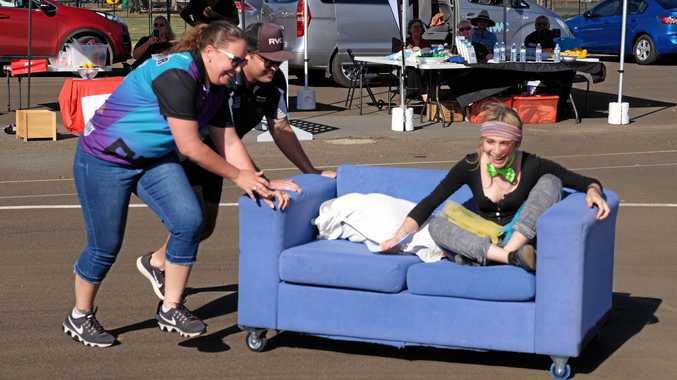 Inside Bundaberg's award-winning recycling program: The 27 workers who sort your recycling are part of a partnership between Bundaberg Regional Council and Impact Community Services. The program has just topped the country, winning a Supported Employment Excellence Award at the National Disability Services conference in Brisbane. The success of the program earned Impact a Supported Employment Excellence Award. "It's a good job - keeps me busy," Mr Hannah said. "I like doing everything. I do a lot of driving to Childers and Bargara (doing collections). "And we all get along." The recycling program employing workers with a range of impairments, intellectual and physical, has run as a partnership between Impact and Bundaberg Regional Council for 12 years at the recycling facility on University Dr.
Workers are rated according to their speed and if they are for example 50% as fast as an able worker, they receive 50% of the award wage, plus the rest of their disability pension. Manager Tim Van Kooten gave the NewsMail a tour, following the journey of all kinds of materials. Stacks of plastic are sold overseas; old clothes go to the underprivileged in Malaysia. Aluminium is recycled "endlessly", while cardboard can only go about ten times before it breaks down. Queensland's introduction of the 10c can deposit might mean less sorting at the facility, Mr Van Kooten said, which will leave the workers more time for tasks like making their own brand of fishing lures, Makka, out of aluminium. Ms O'Shea said the work provided opportunities the staff might not otherwise have in the open job market. "We're really proud of the workers and the work they do every day," Ms O'Shea said. "It's a business, and they're just like anyone else - they turn up for work every day, they are assigned tasks and expected to complete them." Ms O'Shea said Impact was pushing to ensure the program would not change when the National Disability Insurance Scheme rolls out in Bundaberg in October. Mr Van Kooten hopes the scheme will allow them to raise the cap on 27 workers.